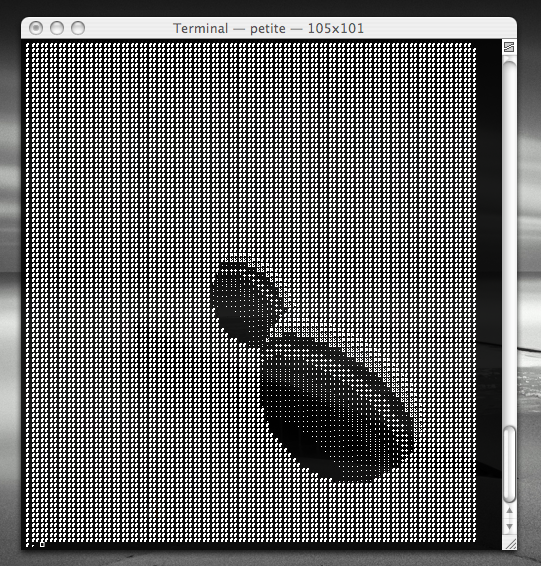 This raytracer is for the LispMe Scheme environment. This is so that it can run on Palm devices, namely my Wrist PDA. It supports sphere intersections, a single directional light source at infinity, and diffuse shading. 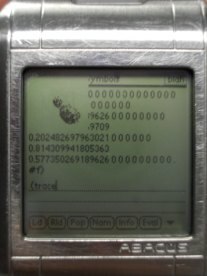 On a Wrist PDA, it takes about 3.5 minutes to trace a 50x50 scene with 2 spheres. I have updated the dithering code to work with ASCII characters. This code has only been tested on Chez Scheme. This code takes more time to print the results than to generate the framebuffer (for simple scenes).